Your loved ones deserve a gift as unique and special as the good times you have shared with them. 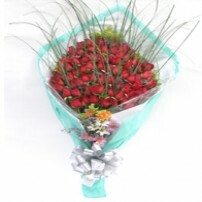 Let these beautiful exotic flowers brighten up their hearts and remind them of how special your bond is. 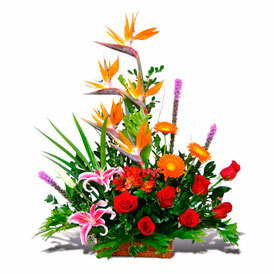 Arrangement of lilies, gerberas, exotic flowers, foliage, and other flowers in a basket. Approximately 18” W. x 20” H.